What's included: 7 Nights on board of 5* Deluxe official category cruise on FB basis from Luxor to Aswan in run of the house cabin (Including the sightseeing Package as mentioned in the itinerary). All transfers as per the above itinerary in modern A/C coach. Monday: Arrival Luxor airport, meet and greet, assist through formalities & transfer to board your cruise for 7 nights Luxor - Luxor Embarkation on board the cruise. 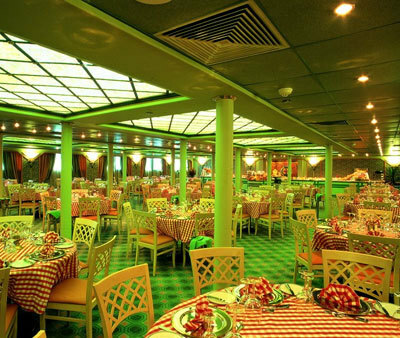 Dinner and overnight on board the boat in Luxor. Tuesday: Breakfast on board the boat, morning at leisure, Lunch on board the boat, afternoon proceed with visiting to the West bank of Luxor including visiting the Valley of the Kings, Temple of Queen Hatshepsut and the two Colossi of Memnon, back to the cruise for dinner and overnight on board the boat in Luxor. 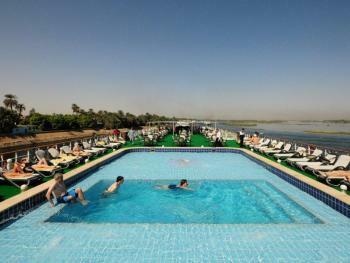 Wednesday: Breakfast on board the boat and then start sailing for Esna, Lunch on board and then sail to Edfu. 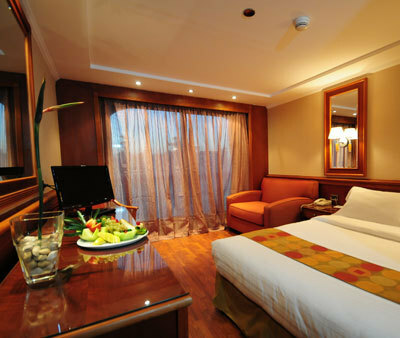 Proceed with visiting Edfu Temple, Dinner and overnight on board the cruise. 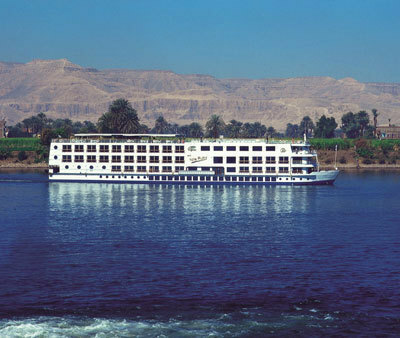 Thursday: Breakfast on board, visit Kom Ombo Temple and then proceed to sail to Aswan. Lunch on board and then visit to the Philae Temple, Aswan and then (optional Excursions to the Unfinished Obelisk and the High Dam). Friday: Breakfast on board the boat, (optional excursion to Abu Simbel in the morning), lunch on board and in the afternoon; proceed with a trip on the Nile by felucca and optional excursion to Kitcheners Island. Saturday: Breakfast on board the boat, Morning at leisure, Lunch on board the boat, afternoon sailing to Kom Ombo for Dinner and overnight on board the boat in Kom Ombo. 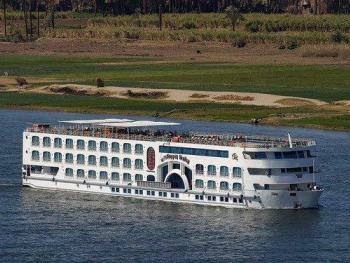 Sunday: Breakfast on board the cruise, then continue sailing to Edfu and continue towards Esna to Cross the lock of Esna. Arrive in to Luxor and proceed for a visit to the East Bank visiting the Luxor Temple and Karnak Temple. 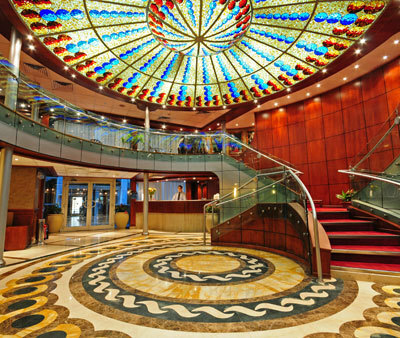 Monday: Breakfast on board the boat, disembarkation, and then transfer to Luxor airport for your departure flight. Color TV "15 Satellite Channel systems"